Pierogi are dumplings of unleavened dough – first boiled, at which point they can be served with melted butter or various toppings, or then fried with onions – traditionally stuffed with potato filling, sauerkraut, ground meat, cheese, or fruit. 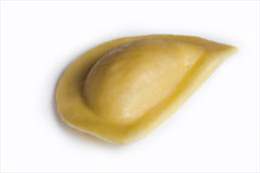 As compound foods, Pierogi are susceptible to various micro-organisms such as LAB, Spore-formers and mold, Salmonellae etc., as well as oxidation causing rancidity. An addition of 0.3g/kg Guardox™ OE effectively delays rancidity of Pirogis.